President and Chief Operating Officer Hitachi Business Finance, a division of Hitachi Capital America Corp.
Mike Semanco serves as President and Chief Operating Officer for Hitachi Business Finance, formerly known as Hennessey Capital, which became a division of Hitachi Capital America Corp. in 2012. Hitachi Business Finance provides revolving lines of credit and factoring as primary funding solutions for businesses across the United States with sales ranging from $250k to $100 million. Mike has over 20 years of experience in the financial service industry, beginning with banks and credit unions to becoming a partner in launching Hennessey Capital in 2002. Over the past 20 years, Mike has helped numerous companies obtain financing direct from his lending institutions and has also helped coach and educates entrepreneurs as to which financing product and structure best fit their needs. Mike has written several industry articles and participates in many panel discussions on business financing and strategies. In 2008, the Small Business Administration named Mike the Michigan Financial Services Champion and in 2007, he was named to Crain’s 40 Under 40 class. A native Detroiter, Mike received a Bachelor of Business Administration in Finance from Walsh College in 1991 and a Master of Science degree in Finance in 1999. He remains active with the college including serving on the College’s Board of Trustees, member of the Academic Committee and Organization & Compensation Committee. He is a past Board Member of the Alumni Association and was named the 2006 Walsh College Distinguished Alumnus. Mike is active within the local business community and serves as a Board Member of Advancing Macomb and is part of the Rochester Hills Mayor’s Business Council. Mike has previously served on several community boards including Crime Stoppers, the Detroit Regional Chamber, Citizens Research Council and The MORE Program. 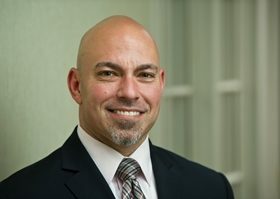 He is a member of several business associations including the Commercial Finance Association, the Detroit Economic Club, Troy Chamber of Commerce, and Rochester Chamber of Commerce. He is proud to be an Ambassador to The Yellow Ribbon Fund, a non-profit that supports injured Veterans.